• One premium reserved ticket in rows 1-10! 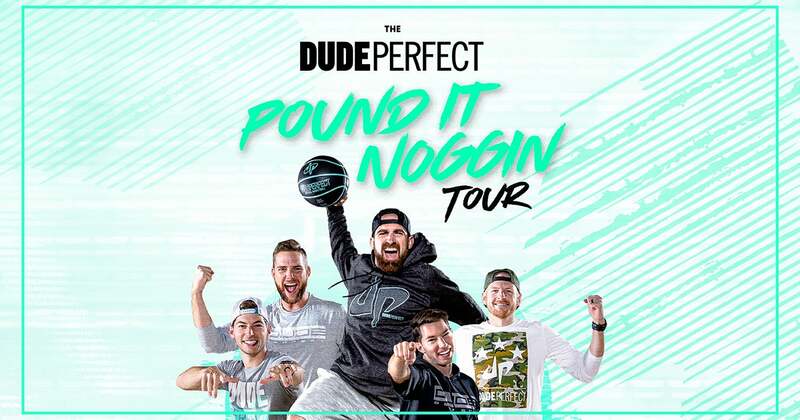 • Official pre-show Meet & Greet and photo opportunity with Dude Perfect, including Panda! • One premium reserved ticket, best seats behind VIP1! Thank you for purchasing a DUDE PERFECT VIP Package. Package details subject to change without notice. Your merchandise items that are included in the package will be available for pickup at the venue the day of the show at the designated VIP check-in location (or other designated location at the venue) prior to the show on the date of the event only. CHECK-IN LOCATION & TIME INFORMATION WILL BE EMAILED OUT 48 HOURS PRIOR TO THE DAY OF THE SHOW. If you do not receive this information before the show, please contact the venue immediately. You must bring a valid PHOTO ID matching the PURCHASER/ATTENDEE NAME on this order. Those who cannot present a photo ID matching the PURCHASER name on the order will be turned away. IF YOU ARE ADDING AN ALTERNATE PICK UP NAME, have any questions regarding the ticket portion of your purchase, or have not received your confirmation email, please contact the venue box office. Please check with the venue directly for any age restrictions. If you have ACCESSIBLE needs: please contact the venue as soon as you have placed your order, and they will work to accommodate your needs based on availability.